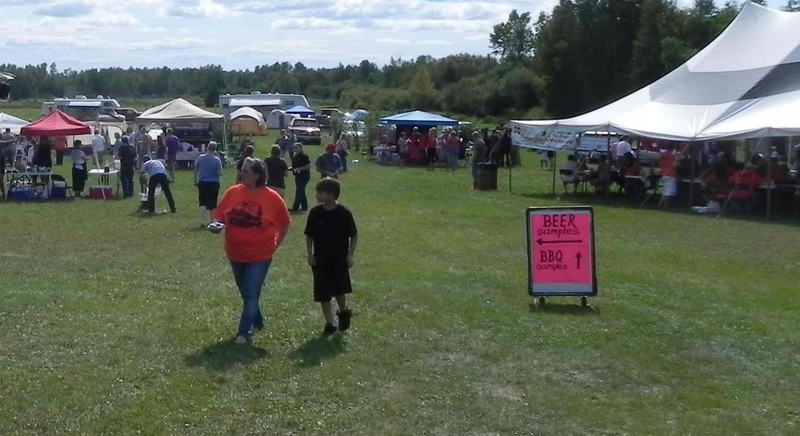 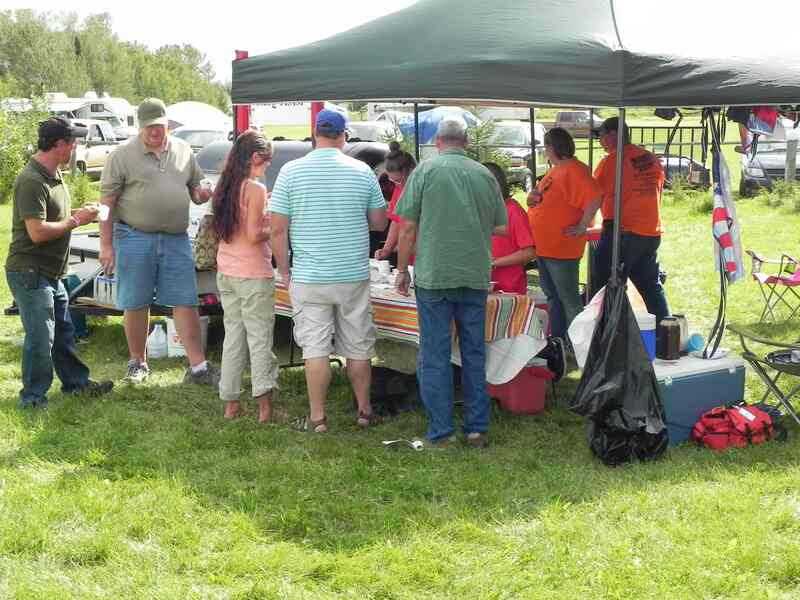 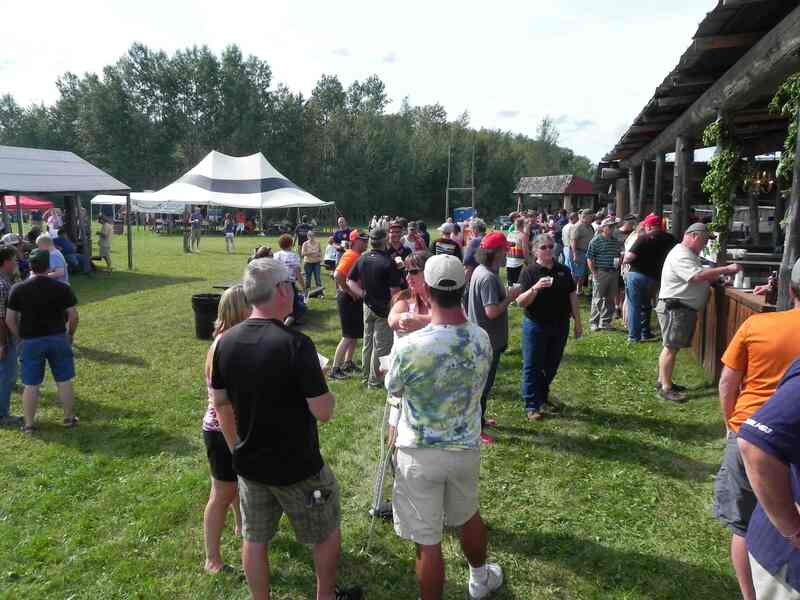 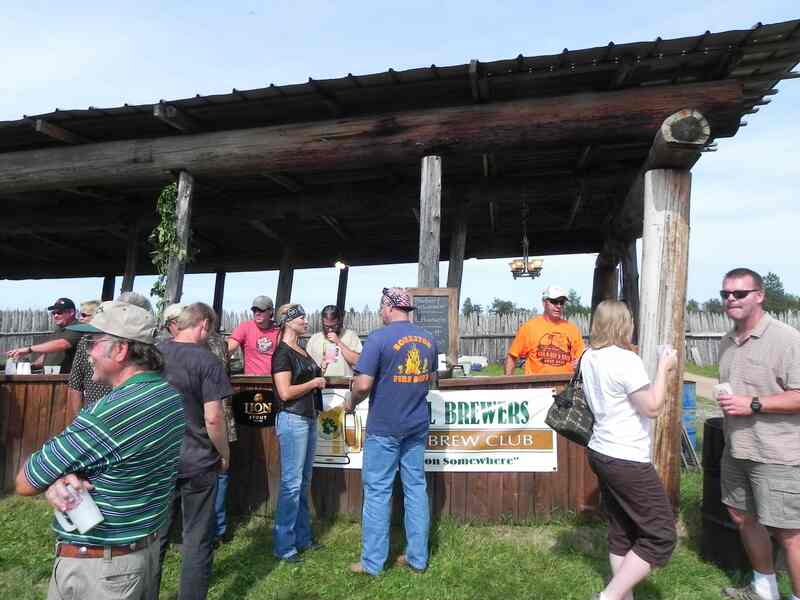 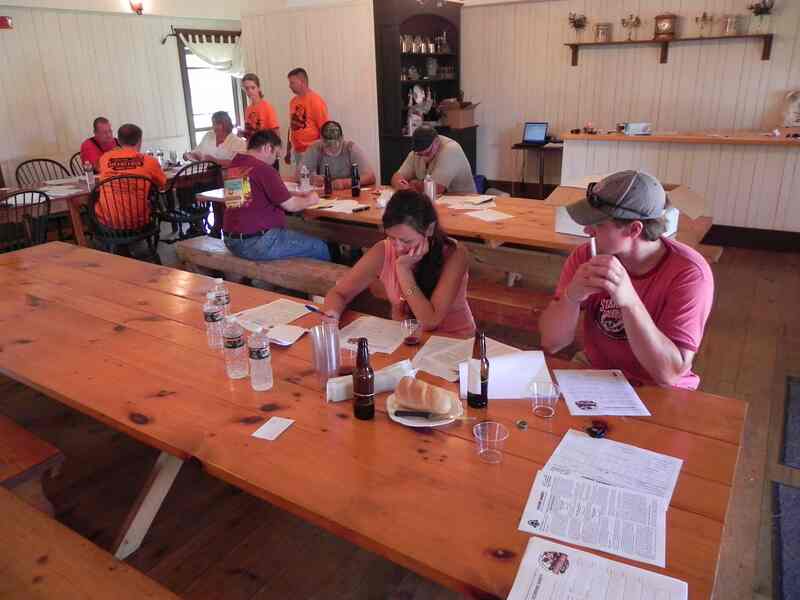 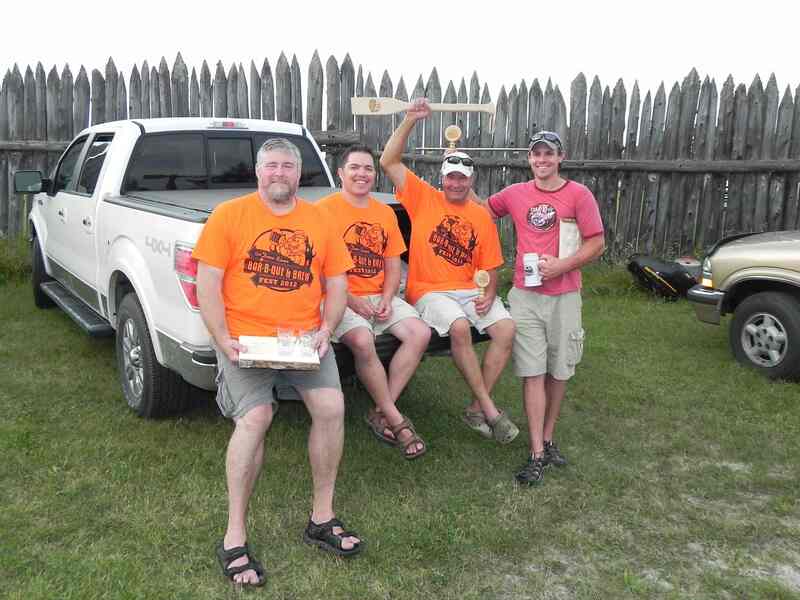 In August of 2012, a number of Boreal Brewers, Northern Ale Stars and other homebrewers from the Northland and the Twin Cities attended/competed/judged beer at the 3rd annual Deer River BBQ and Brewfest. 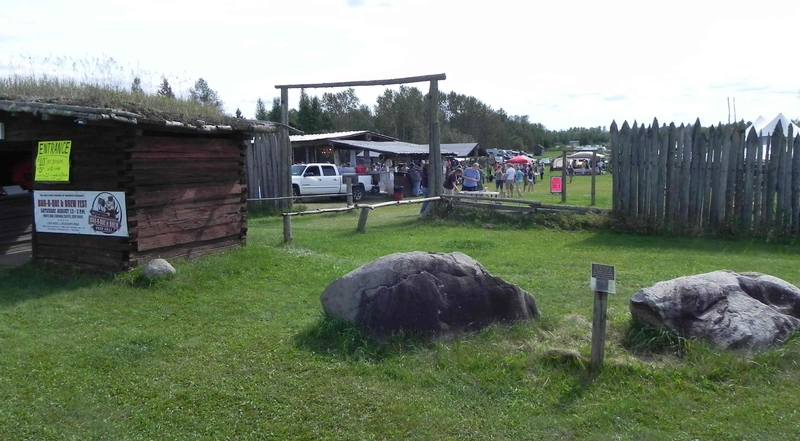 The competition is held at the White Oak Rendezvous venue just north of Deer River on highway 6. 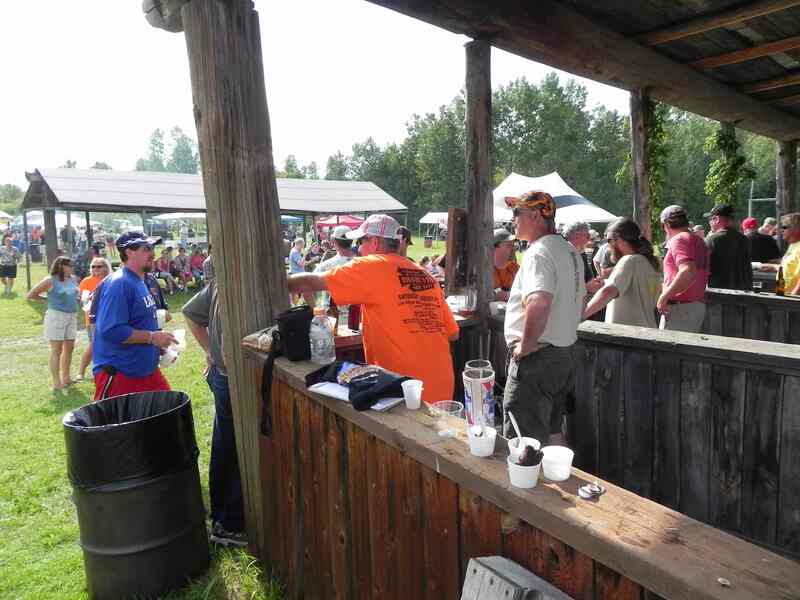 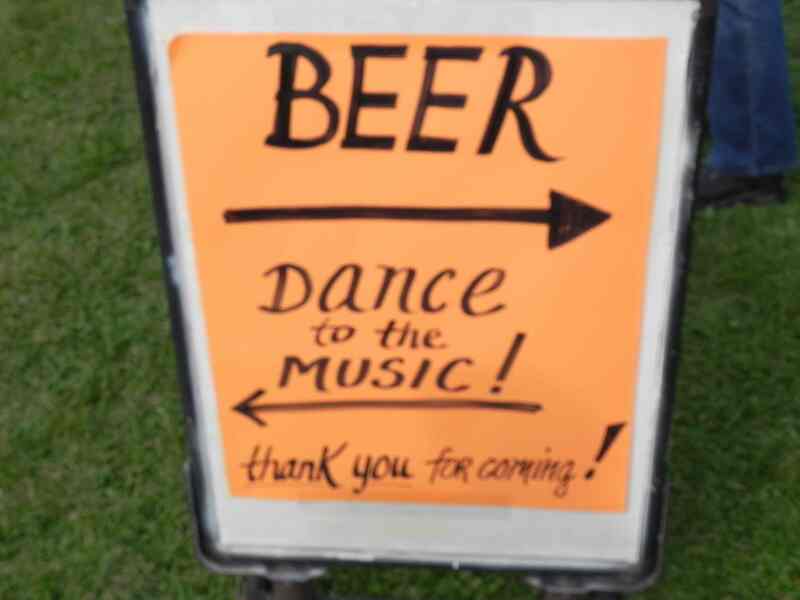 There’s a Friday night dinner for competitors, and general beer sharing for quite a while afterward. 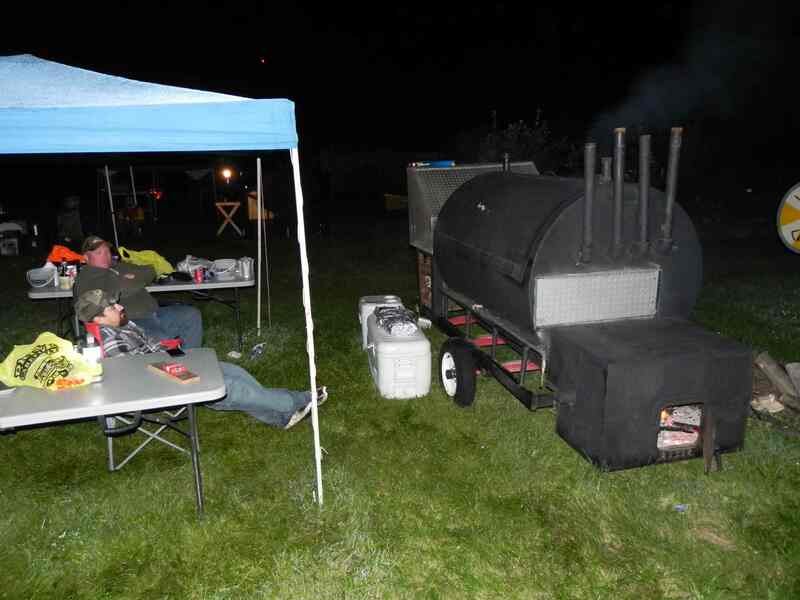 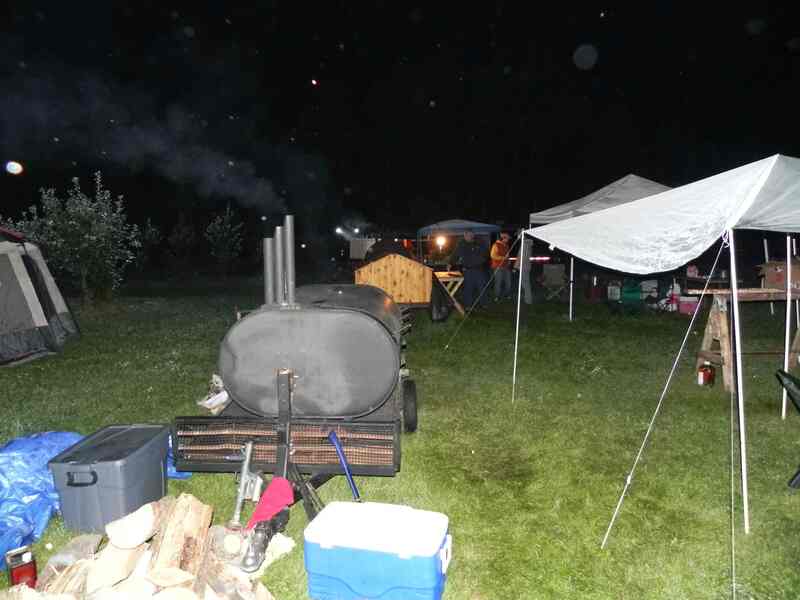 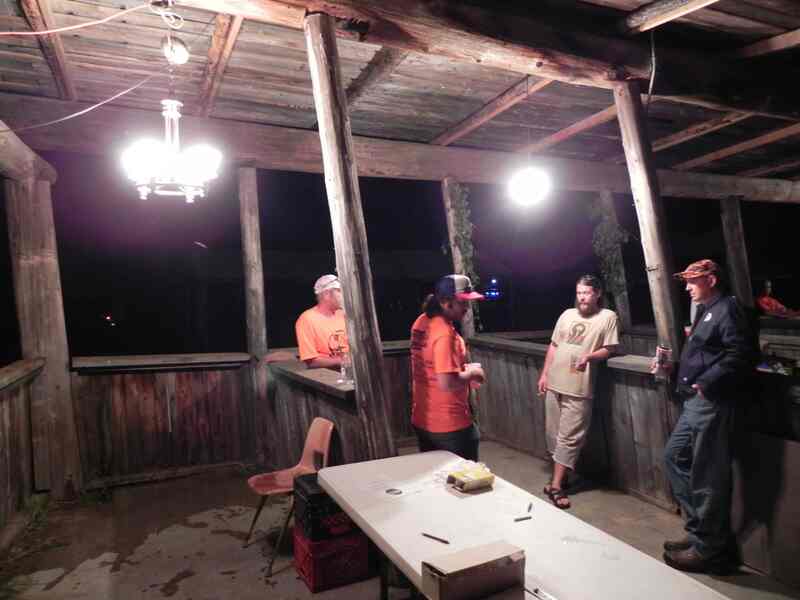 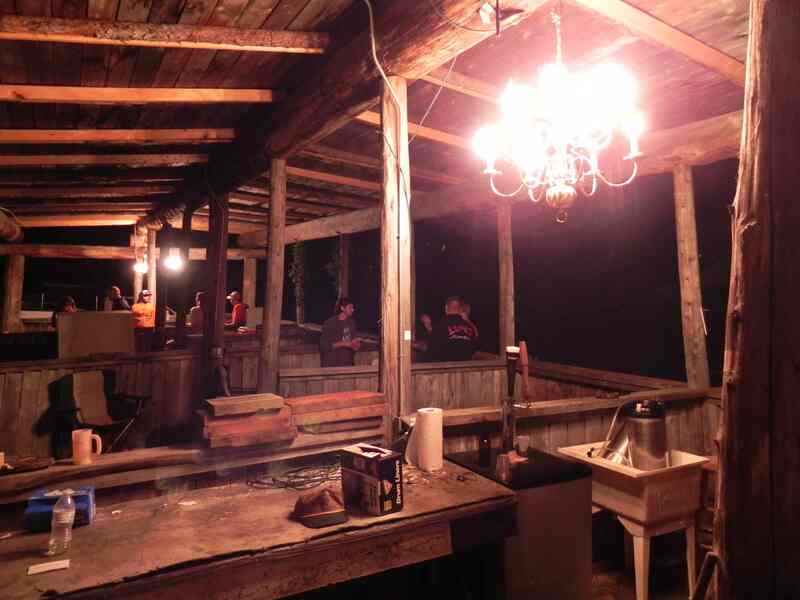 The smokers and burners fired up their equipment as it approached midnight, while the brewers mingled around the bonfire and watched. 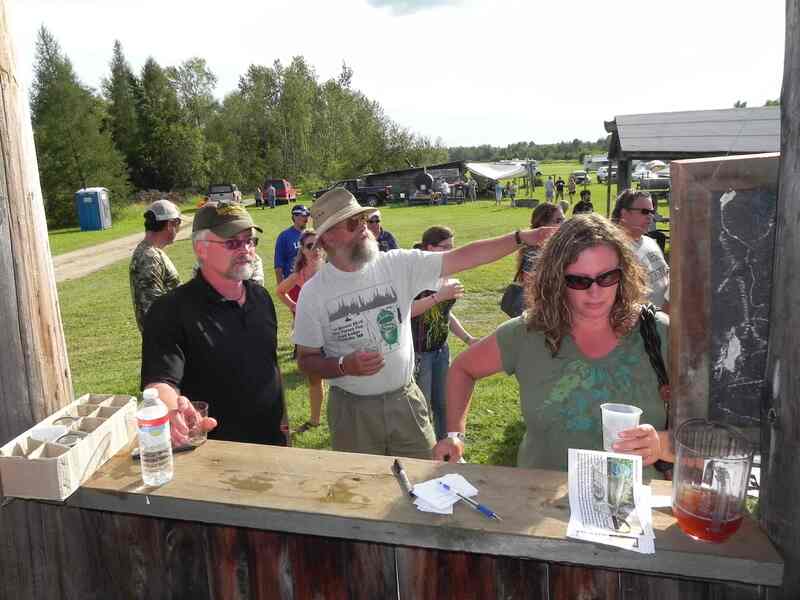 There’s nearly unlimited camping space, so many people spent Friday and Saturday nights on site. 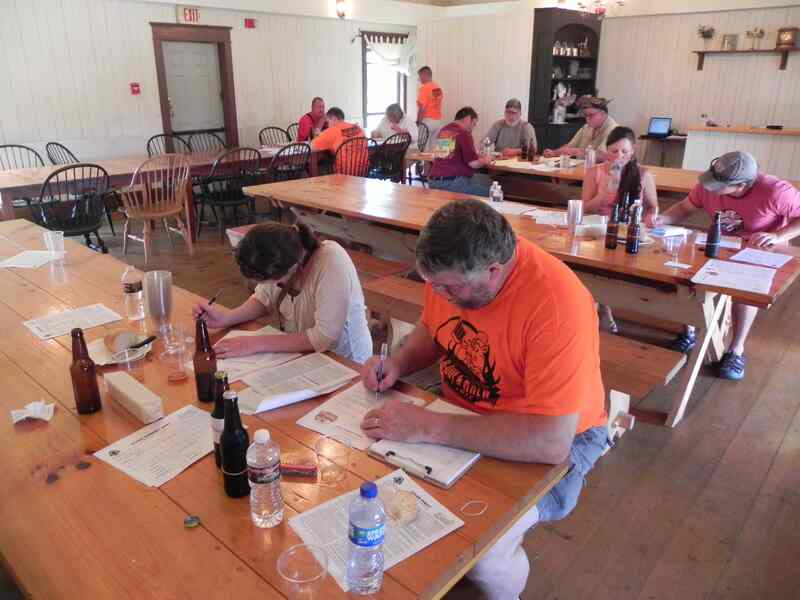 The competition is BJCP sanctioned, and both the Boreal Brewers and the Northern Ale Stars (Duluth) provided judges. 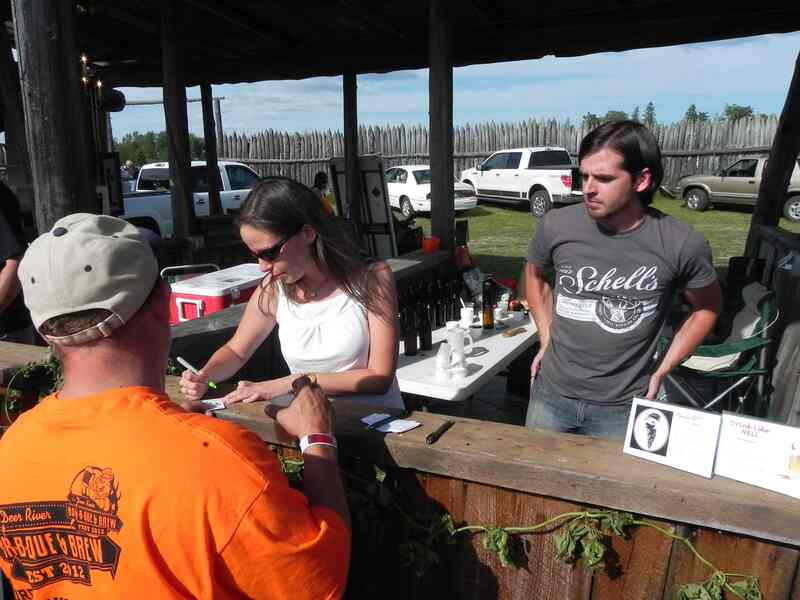 As the sun set and the crowd thinned, the brewers held forth with some special brews for the evening tasting, followed by the kind of potluck only brewers can put together. 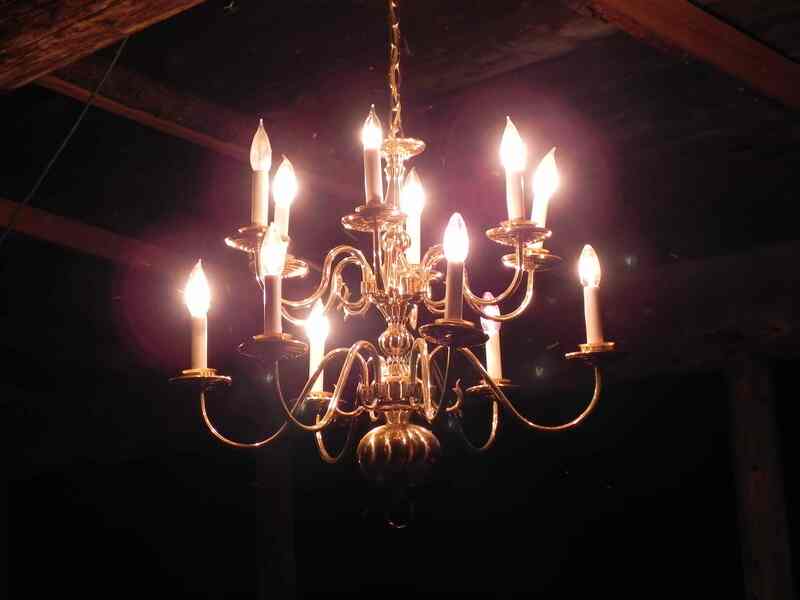 And, the conception of another competition was born: the 2013 Ugliest Chandelier Competition. 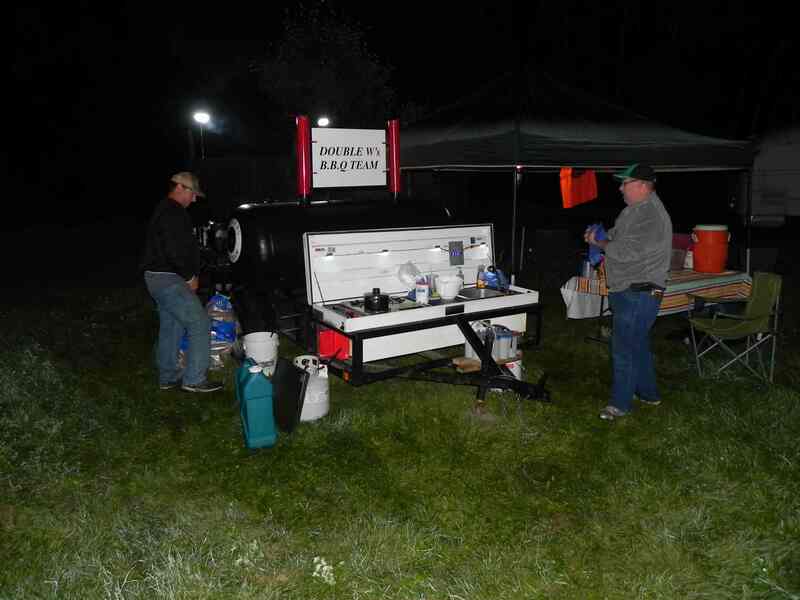 Brew, cook, or come with a weird chandelier, but show up next year for the 4th annual!